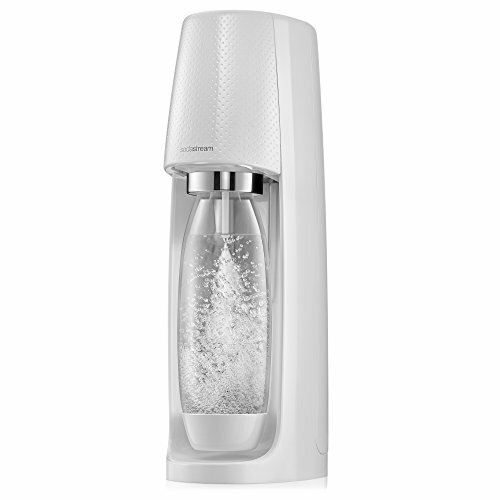 The Sodastream Fizzi features the favorite Fizzi machine, engineered at SodaStream's own labs. Quick and easy to use, the machine features the company's proprietary snap-lock technology that instantly "clips" the bottle to the machine for a simple user experience. The Fizzi is also the company's slimmest, most space efficient design, engineered with the modern kitchen, dorm room, and travel in mind. Contents include; (1) Fizzi Sparkling Water Maker, (1) Mini CO2 Carbonator (makes up to 9L of sparkling water), (1) 1L BPA-Free Reusable Source Carbonating Bottle, and a 60 Liter CO2 Carbonator mail-in rebate.